The whole of Japan is seismically active and there were several live volcanos in our area. Late one afternoon we visited the nearby Mount Usu, a 737 metre active volcano. 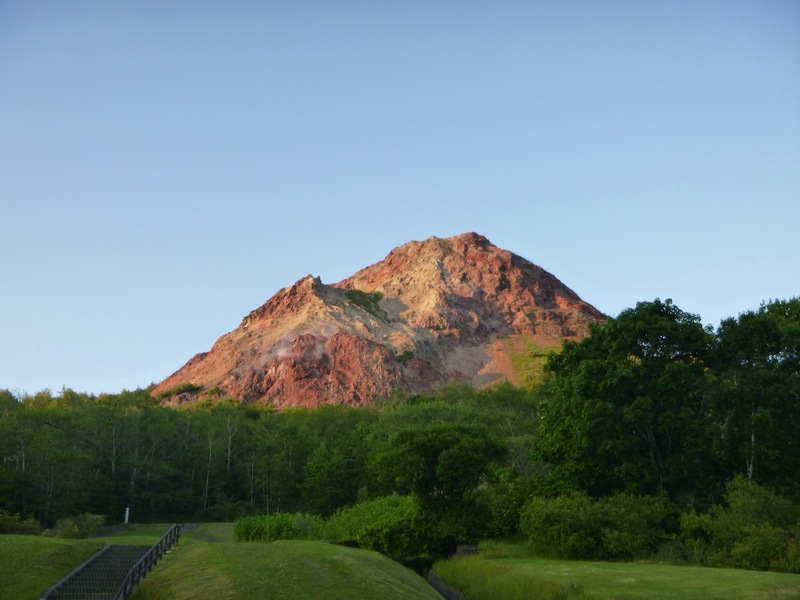 In 1944, the volcano erupted and the lava produced a second mountain, which they named Showa-shinzan. 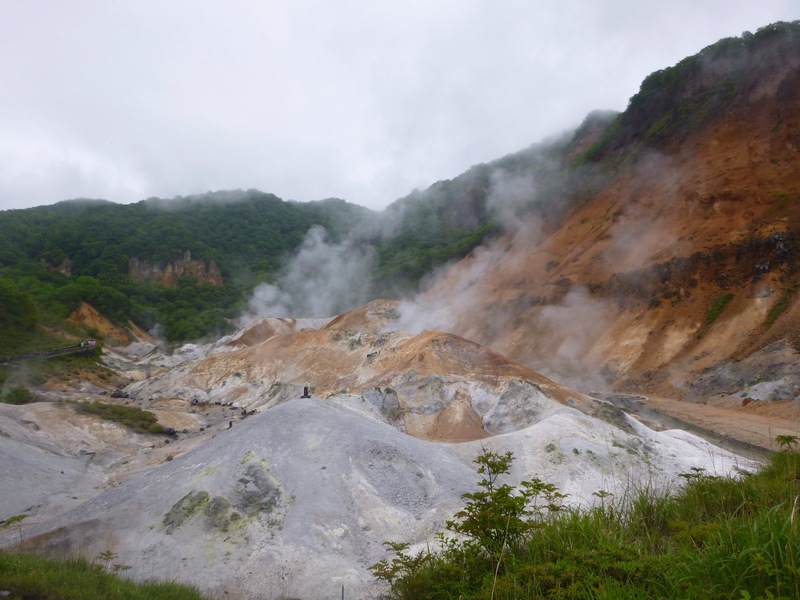 This mountain looked brand new against the heavily forested slopes of Mount Usu – parts of Showa-shinzan were still steaming. 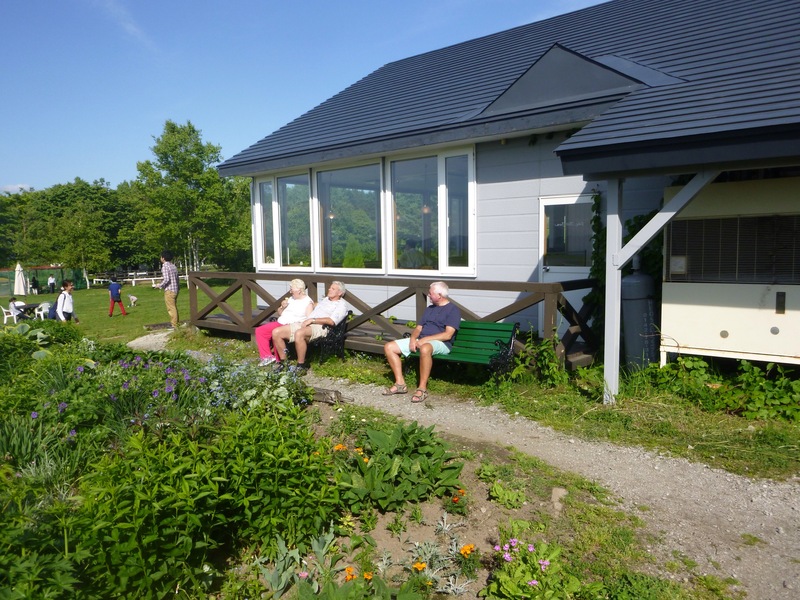 We stopped at a local farm for their home made ice cream. 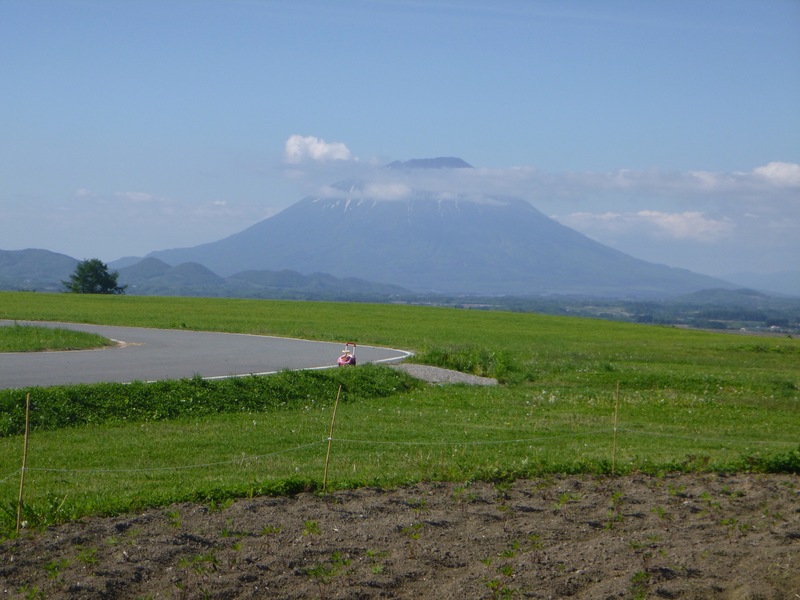 We sat outside in the sun and ate our cornets on seats overlooking Mount Yotei, designated as an active volcano. One wet day we went for a drive and visited the Geyser at Sengen Park, an hour’s drive through the mountains. 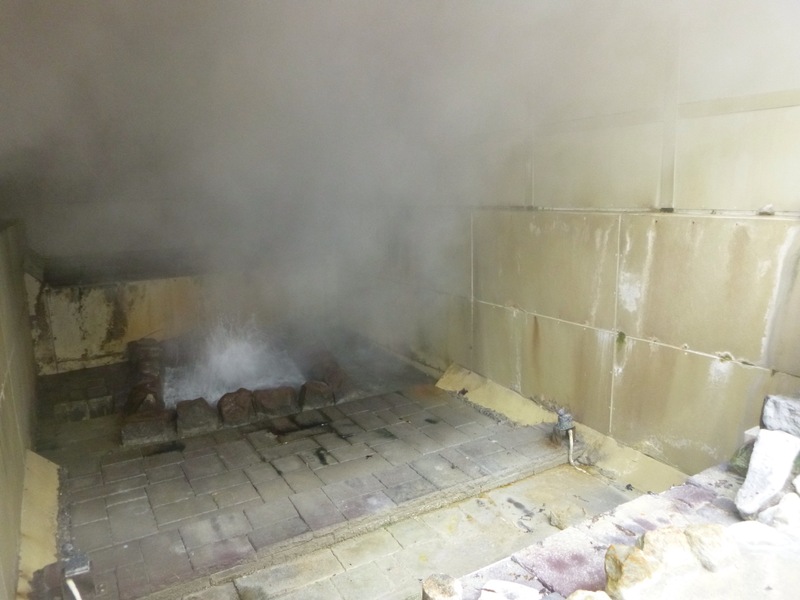 Every few hours, the geyser would noisily thunder 2000 litres of hot (80°) water and steam 8 metres into the air. The spouting lasted almost an hour. 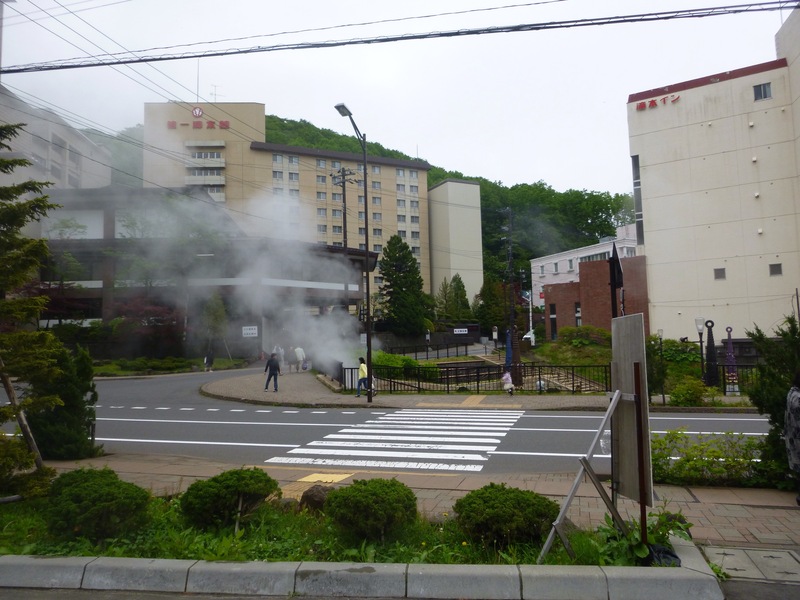 All the hotels in the area provided onsen, thermal water baths. Further up the road we viewed the start of Hell’s Valley where volcanic energy from magma stored underground produced hydrogen sulphide gas and hot water out of natural vents in the ground. The forest that had existed in the area for thousands of years had been destroyed in the closing days of World World II and again in 1954 with Typhoon Toyamaru.